It’s time to create a small detail. On the Cassina reproduction chairs one of the last steps is to silk screen their logo along the bottom of the chair, and stamp in a serial number. Since I’m not running a large factory, I’ve decided to imprint “G. 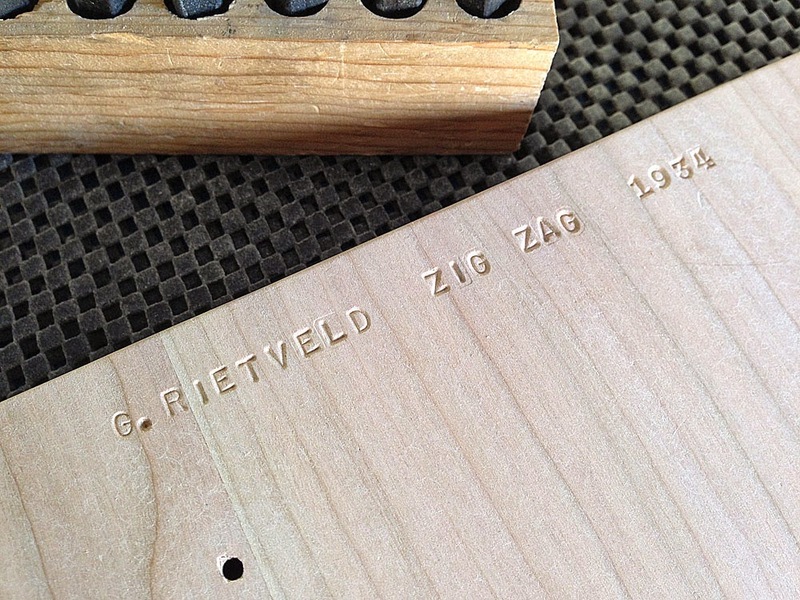 RIETVELD ZIG ZAG 1932” on the bottom piece. This way when I’m dead and gone, and my relatives wanted to know a little more about the odd chair I built, they will have some reference information. This is a pretty easy task. Not a whole lot to it. Step one: lay out a straight line. 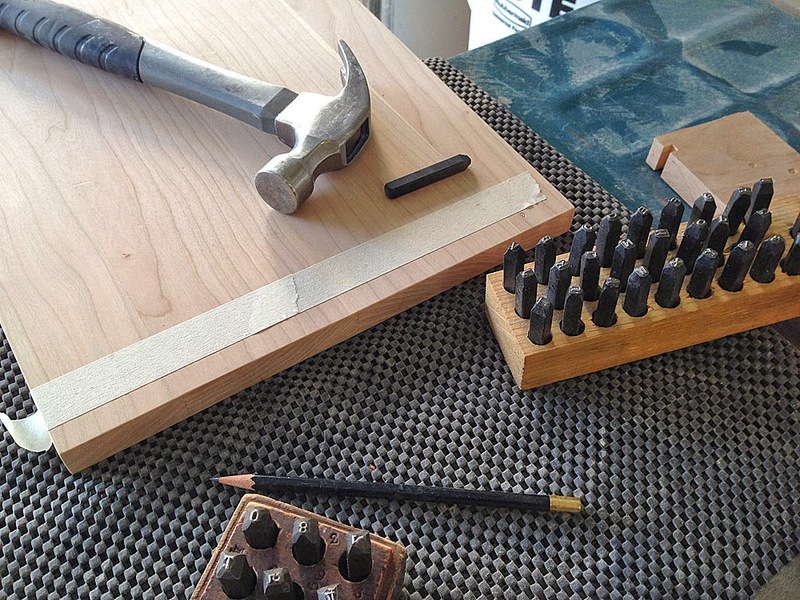 Step two: test the first letter (in terms of how hard to drop the hammer). Looks about right. Step three: Step back and admire the work. 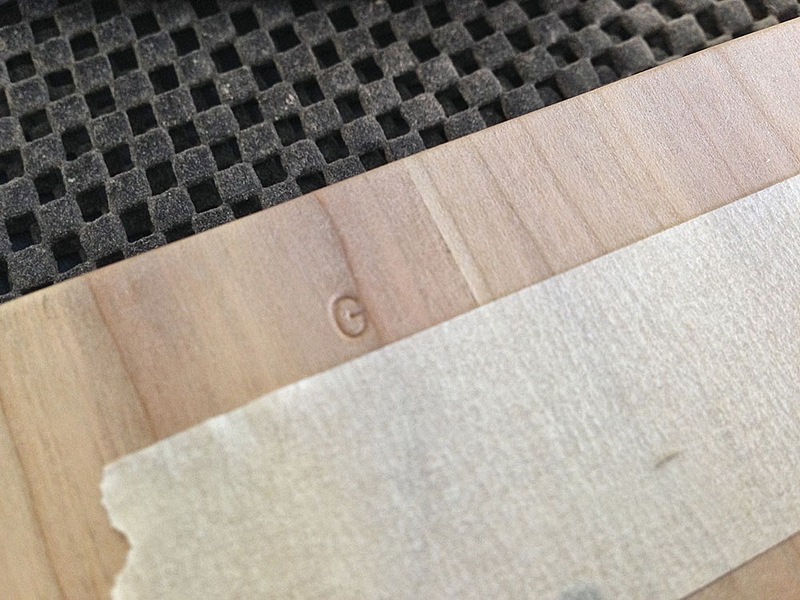 When I do the final sanding the very small edges around the letters will be sanded smooth, and will look nice. The chair is now dangerously close to being finished! 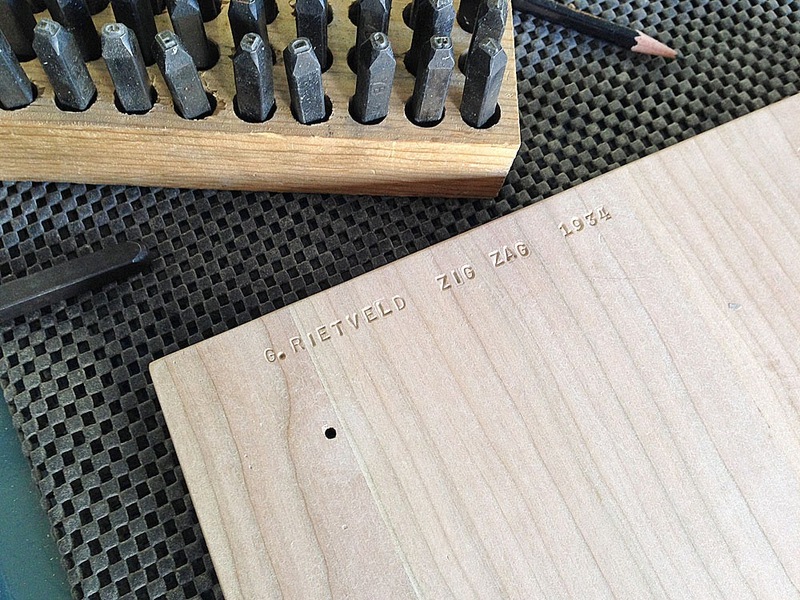 Gerrit Rietveld fan, and I know how to make lots of sawdust too.